A unique and historic location where friends and family can gather in an elegant and private setting for your perfect day. 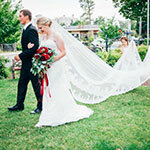 The Roosevelt Inn is a magical Coeur d’Alene wedding venue which can accommodate both indoor and outdoor events. Our beautifully manicured gardens, vast lawn space, ballroom and parlors make this the perfect setting for your perfect day. Our years of experience and expertise, along with our qualified and professional staff take all of the stress and worry away, making this a day of joy and ease. Be Enchanted, Be Romantic, Begin your life together… at the Roosevelt Inn. Our The Roosevelt Inn’s extensive lawn areas are surrounded by tall private hedges creating a welcome privacy to the whole yard. The gardens showcase a variety of flowers, plants and trees from geraniums and tulips to our towering pines and whimsical willows, adding color and texture all year long, creating a beautiful backdrop to any wedding. Elegant and Beautiful beginnings are our specialty here at the Roosevelt Inn. 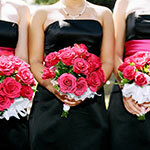 We do the work for you allowing you to relax and enjoy this special day with your family and friends. 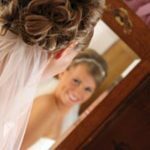 From the very beginning our wedding planner will meet with you personally here at The Roosevelt Inn to customize the package of your choice making it designed to fit your every need. Up to 50 guests, four hours use of the site. To view more of what we can add to your package, click on our Enhancements tab above. Call Tina for further details, special additions, and to make your appointment at (208) 765-5200. Up to 100 guests, six hours use of the site. Up to 150 guests, eight hours use of the site. Up to 200 guests, eight hours use of the site. To view more of what we can add to your package, click on our Enhancements tab. With our Queen of the World package, you really have it all! Exclusive use of our historic property for two days. Bottle of wine or sparkling cider with keepsake Roosevelt goblets waiting in your room upon arrival. A delicious two-course breakfast in our mural dining room with our acclaimed breakfast buffet and custom blend coffee. 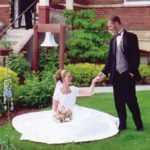 Eliminate the leg work and allow us to orchestrate and organize a hassle free memorable day by adding any of these special extras to our wedding packages. Our preferred photographer, Shutterkey Photography, will meet with you personally to discuss how to capture every moment of this important occasion and design a photo package that meets all your needs and expectations. For outdoor weddings these tents bring together elegance, style, and flair with much needed practicality. Exceptional food by our professional and experienced team for up to 80 people, freshly prepared in the Roosevelt Inn’s kitchen. For larger events a list of preferred caterers can be recommended. Choosing the right flowers adds grace, beauty, and life to every event. We can arrange for our preferred florist to create the perfect combination for your event. Whether you are planning an event of elegance or a rockin’ party, we can arrange all your entertainment needs from harpists, pianists, or violin quartets to DJ’s, live bands, or a simple iPod with sound system. Allow us to help you spread the word with a variety of products and options. We work very closely with our wedding coordinator and local event suppliers to find and acquire any additional decor or accessories you desire to achieve perfection. A chocolate fountain makes a dramatic, sculptural focal point to impress your guests, whether you choose a simple option for a small celebration or a stunning display for elaborate affairs. Add a very personal touch to one of the centerpieces at your event. Whether you’re celebrating a birthday, a graduation, or a wedding, a well chosen cake or sweet creates a distinct and important focal point. Express your thanks with meaningful wedding favors that will be appreciated by your loving friends and family who traveled near and far to share in your joy. To ensure all your guests have wonderful memories of your special day, and to avoid any awkwardness, we can arrange the seating of all your guests. A safe container to ensure no ones well wishes are lost. Make any occasion more memorable and spectacular with the purity of doves or the grace of butterflies. Never again will you witness anything so beautiful and magical! Make your grand exit in style, anything from a fairy tale, horse-drawn carriage to an elegant and classy limousine, we can arrange it all.